It’s been 6 months since I made the switch to free WIFI cell phone service using my Android phone. As I’ve mentioned in my previous article, I use a combination of Google Voice and Spare Phone to grant me free cell phone service. I thought since my previous article got so much attention, I would update everyone on what it’s like living with free cell phone service. For one thing, I do not in any way miss spending nearly $100 a month to Sprint for the privilege of using their network. I was never much of a fan of talking or texting while driving anyway. As long as I’m near a WIFI connection, I can use my free cell phone service as much as I like without paying a dime for it. There are a few drawbacks however. Using my cell phone’s GPS navigation is out of the question. I can however use Google Maps by downloading the maps to my phone ahead of time. I do miss listening to my Pandora radio stations while driving. However, there’s plenty of space on my phone for MP3s. The only thing I can’t seem to do is send MMS picture attachments over Google Voice. But this is something Google is working on, and in the mean time I can always email pictures if need be. 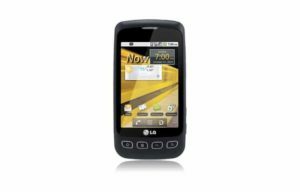 When I wrote my previous article on free cell phone service, I had purchased a cheap Cricket phone in case I needed to place calls between WIFI hotspots. I quickly discovered this was totally unnecessary and dropped the service, as WIFI hotspots are so easy to find. The restaurants I frequent (even out here in the sticks) usually offer WIFI. Even my favorite bar allows me to use my free cell phone service. Not to mention use any of the other features of my phone, such as the web browser or Twitter or my various weather apps. I’ve found it’s very rare for me to be somewhere I can’t get online. If I have any complaint about my free cell phone service, it’s with my phone itself. It seems the Google Voice application for Android is a bit of a resource hog, lagging quite a bit when I’m texting. However when I use my tablet instead of my phone, it’s smooth as silk. I have also had complaints of echoing from callers, I suspect this is also due to some lag in my phone. I suppose I should do a little hunting for a better phone than my old Optimus S.
Times are tough, and if you’re looking to save money, free cell phone service through Google Voice and Spare Phone is the way to go. As long as you have WIFI at home, at work, at school and/or at the places you frequent, there’s simply no need to pay the extra $50-100 a month. While your at it, I suggest you pick up a ROKU player and ditch your cable/satellite TV service as well. Between Netflix, Hulu Plus and Amazon Prime (all about $8 a month), and a myriad of free services like Crackle and Revision 3 TV, you won’t miss much. Worst case scenario, you’ll be a season behind on your favorite shows. Watch whatever you want whenever you want, all over your broadband internet connection. By the way, if you liked this article and/or have tried this out yourself, please comment and tell your friends. It’s always nice to know someone is reading this dreck.